Enjoy an afternoon stroll with local historian Jonita Mullins through one of the most historic downtowns in Oklahoma with history stretching back to the 1870s. Visit “dead man’s corner,” walk the police beat of marshal Bass Reeves and see where Merle Haggard and Babe Ruth played. 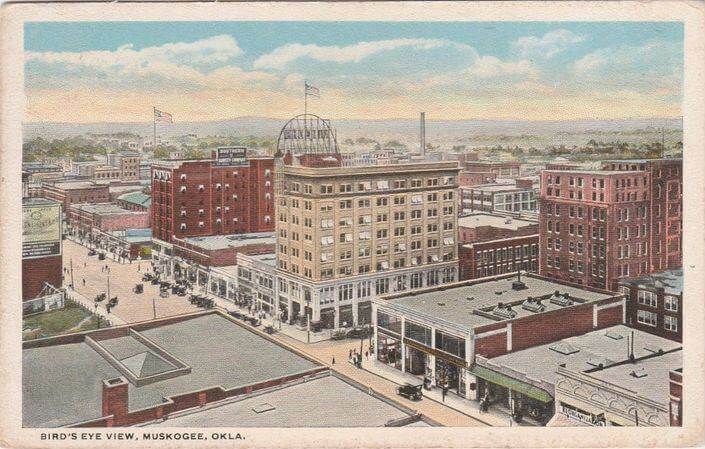 Learn about Muskogee’s place as the capital of Indian Territory and the seat of federal government from 1876 to today. Cost is $5 (cash or card). Wear comfortable shoes and clothing appropriate for the weather. More information is available at okieheritage.com. The tour begins at the Muskogee Civic Center, Fifth and Boston at 4:30 p.m. on April 20, 2019. The tour lasts about an hour and cover 12 blocks of level walking with frequent stops. From Highway 69 go east on Okmulgee Avenue to Fifth Street. Turn south onto Fifth and go one block to the West Parking Lot of the Muskogee Civic Center.